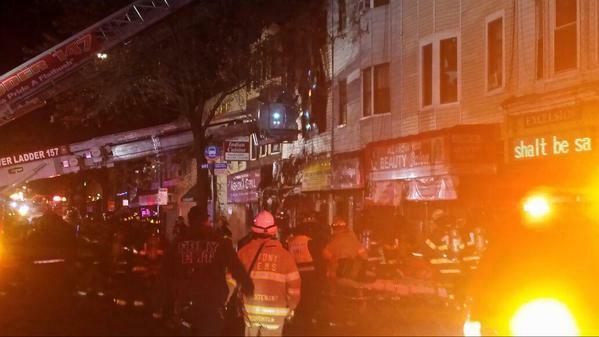 12 people were injured in a fire in New York City Tuesday night. 4 of the victims were transported to the hospital. One of them suffered serious injuries. 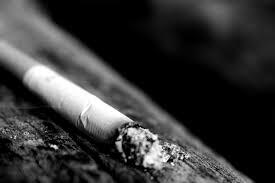 The other victims were treated on location for smoke inhalation and other minor injuries. According to the NY Daily News, the fire started on a building rooftop around 10:00 pm on Dekalb Ave between Knickerbocker Ave and Wilson Ave and spread to four other rooftops. Families who lived in the building were able to escape the building with the help of two early responding police officers. The firefighters who arrived shortly after searched every floor for potential victims. A resident told the NY Daily News that his smoke alarm never went off and that the screams from other building residents alerted him to get out. 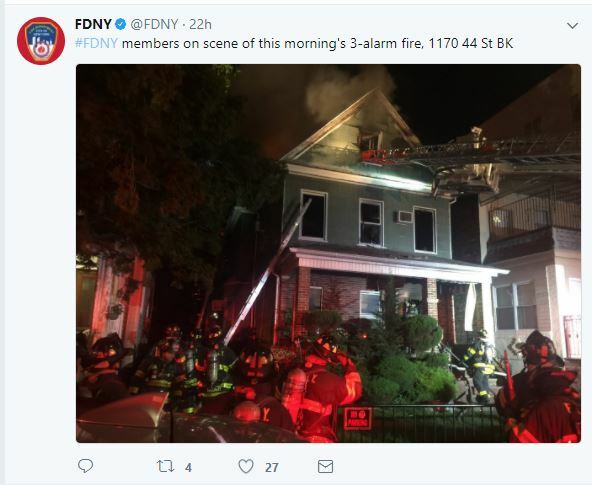 According to the FDNY commissioner, Daniel Nigro, an extension built behind one of the buildings partially collapsed and triggered the fire to quickly spread to the other buildings. By midnight one of the building’s front facades had collapsed. 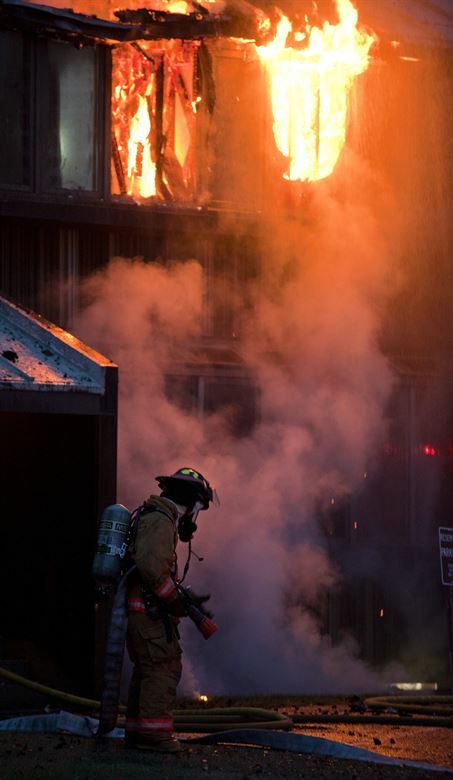 Several apartments were damaged during the fire leaving 90 people homeless. 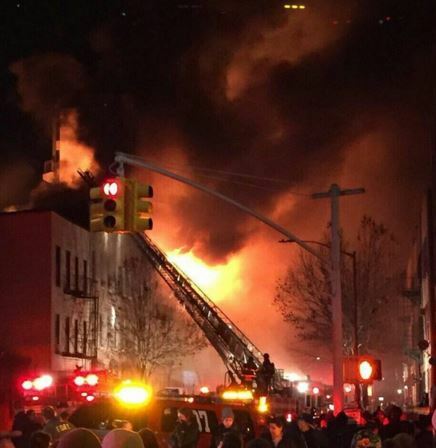 A young man is dead and 14 other people are injured including several of them in critical condition after a massive fire destroyed apartments in a three-story building on Flatbush Ave in Brooklyn, NYC early this morning. The fire broke out above the stores and destroyed all the apartments. Investigators are still trying to determine the cause of the accident.